Welcome to North Seattle College! 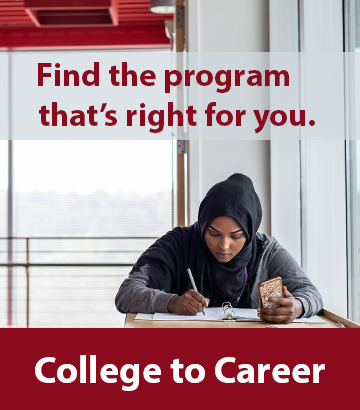 You can prepare for transfer to a four-year school, continue your education beyond an associate degree with a Bachelor of Applied Science in International Business degree, in Early Childhood Education or in Application Development, or train for a career, complete high school as an adult, take college classes while still enrolled in high school, enhance workplace skills or retrain, or simply take classes to enrich your life. Seniors, veterans and current members of the military, international students, and non-native speakers seeking stronger English language skills are all accommodated in our programs. North has a great reputation for preparing students for transfer for a 4-year school - and students can now complete their Associate of Arts and Associate in Business degrees entirely in the evening. We rank among the best community colleges in terms of number of transfers to UW main campus. Our grads perform as well or better at UW/Seattle than other transfer students and students who started at UW as freshmen. And North grads have gone on to top-tier schools like Dartmouth, Georgetown, NYU, Penn State, UC Berkeley and Cornell. You’ll feel welcome in the classroom and supported in your studies, with small classes and accessible instructors who are here because they want to teach and because they care about your future. Choose from multiple scheduling options, including online, hybrid, traditional on-campus classroom formats and day/evening/weekend classes (including the AA and AB evening hybrid degree programs). Diversity in North’s classrooms — a cross-section of ages, educational backgrounds, ethnicities and life experience — enriches the college experience for everyone. You have access to free tutoring, both online and through the Math Learning Center, and career counseling services. And program internships and partnerships open doors to jobs. Student-friendly services include our online application process, with personalized support and no application fee, or the option of in-person, respectful service in the Admission/Registration office. New students are often surprised by the fast turnaround in the application process — within hours — and the convenience of online registration. And we offer a wide range of online services. Not sure what you want to study? Check out the Seattle Colleges' College to Career website.